Are you looking to update your home this season? Are you wanting to find professional painters in Glen Carbon Illinois? Great, we can assist you with your interior and exterior painting needs. 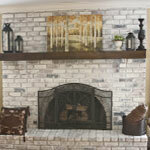 Certified Painting Professionals is now extending their services to the Glen Carbon Illinois. Why should I paint my home? Painting is an excellent way of adding value to your house. Rather you are looking to sell your home, just moving in or wanting to change the color scheme throughout, adding a fresh coat of paint can increase your home value. In fact, painting can transform your home by giving it an entirely different appearance especially if you paint the walls and trim a different color. 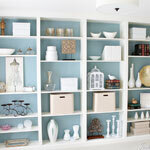 Changing the colors scheme in your home doesn’t have to be dramatic to make a big difference. In fact, changing your walls from a baby blue to a light grey hue can make your home look different, especially when updating the decor. One of our favorite transformations is changing the wooden colored baseboards and trim around the home by painting it with a clean, fresh white coat of paint. Thus, giving the house a more modernized look throughout. In addition to changing the wall colors, we have seen clients use whitewashing on fireplaces to give it a cozy and unique look within their home as well as painting the bookcases white with a colored background (see image below) to provide the room with a uniquely elegant look. Below are the Most Common Painting Services for Glen Carbon Illinois.